Nobody loves a breakdown, we know. But when inverters malfunction, you can turn to Zonna Energy for quick, competent solar inverter repair service. 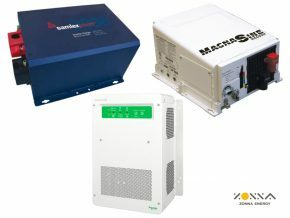 We work with Magnum, Outback, and Schneider Electric inverters. If your invertor is in need of a repair or servicing, give us a call immediately. We’ll both help you diagnose your problem over the phone, and then provide easy-to-follow instructions to get your invertor shipped to our repair facility, as needed. You can count on Zonna for a quick turnaround—we’ll get your RV or solar system back up and running in no time. With years of experience, we can quickly diagnose and fix broken inverters. 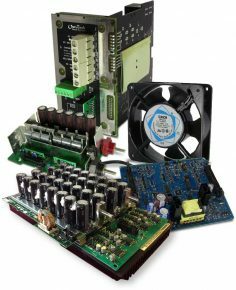 We keep an extensive inventory of invertors and parts on hand so we don’t need to order and wait on parts. We typically repair and return inverters within 2-3 days. It has been almost a month, but we want to thank you sincerely for your time and extra effort. We were at Spartan in Charlotte, MI when one of our inverters failed. I was able to find your company and you found a new, returned inverter and then made arrangements to overnight it to us. It arrived before 8:30 a.m., was installed, and we were on our way to a rally in Leelanau, MI. We are grateful to you for your extra effort. You can bet we’ll be spreading the word. If you have the expertise and time to fix your or your client’s inverters but need a responsive and reliable parts supplier, get in touch with Zonna Energy. With Zonna Energy as your invertor parts supplier, make your customers into raving fans by fixing invertors with a very quick turnaround. We have many parts in stock and ship in record time. We’d love to become your inverter parts supplier, as well as your go-to solar inverter repair service. If you’ve got an inverter giving you grief, call us today at (330) 674-1750. We can answer any questions you have and give you instructions for shipping your inverter to us. We’ll get to work as soon as we receive it, and you’ll have the product back in less than a week—all at a reasonable, low price. Don’t wait—we’ll get your off-grid system up and running in no time!